Fake news has gotten a lot of media attention since the election. After Trump’s surprise victory, many disgruntled Clinton supporters are pointing the finger at Facebook and Twitter for allowing false information to circulate on their platforms. Is this just sour grapes, or should the companies and government be doing more to combat fake news? What are the implications for free speech? In related news, Trump recently criticized Saturday Night Live for political bias. 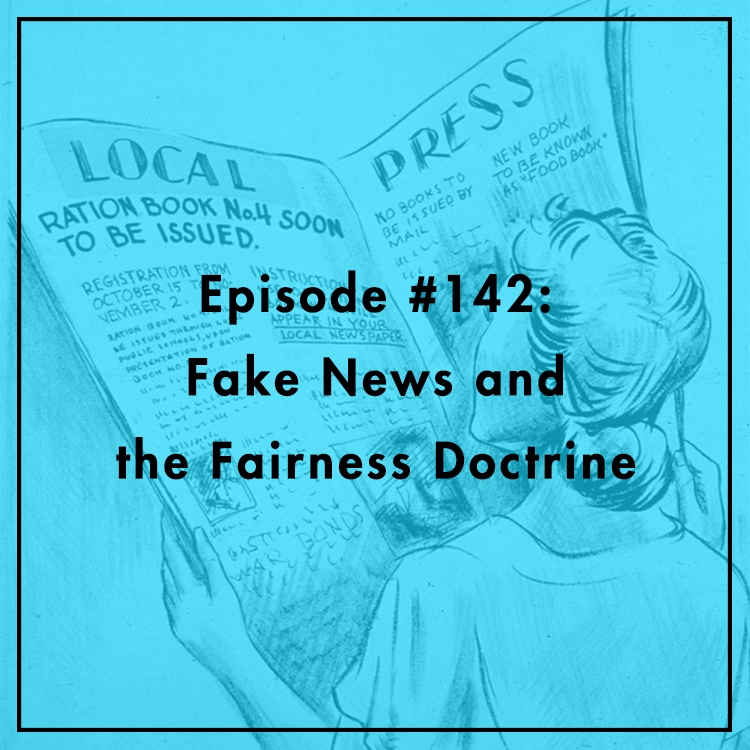 Will the next FCC bring back the “Fairness Doctrine,” long-extinct rules requiring equal time for opposing views on controversial topics? Evan and Berin discuss.